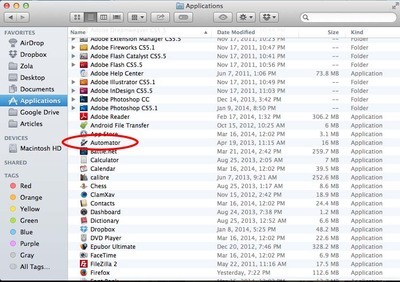 With the release of Mavericks, Apple has taken some functionality away from Preview, which used to be the go-to program for most file conversions that involve images. Preview can still export single page PDFs into JPG with ease, but converting multiple page PDFs is now very time consuming. Luckily, converting PDFs to JPG can still be super-slick and easy thanks to an app, which can be created using Apple’s Automator. 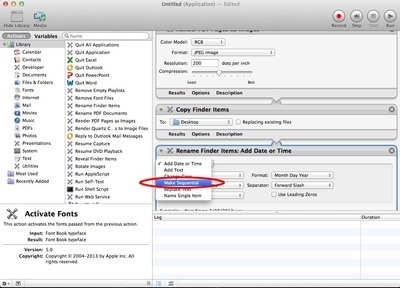 Time: This tutorial will only take 5 to 10 minutes, but once the Automator App has been created, PDFs can be converted to JPGs in seconds. 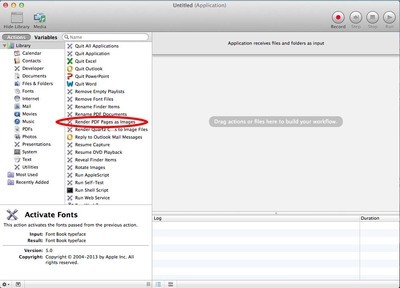 Go to the Applications folder in Finder and open Automator. Choose Application from the options menu pop-up. In the row left-of-centre, find Render PDF Pages as Images. Drag and drop this option into the empty right-hand pane. Once moved over, it should present some options in what looks kind of like a speech bubble in a comic strip, as shown below. 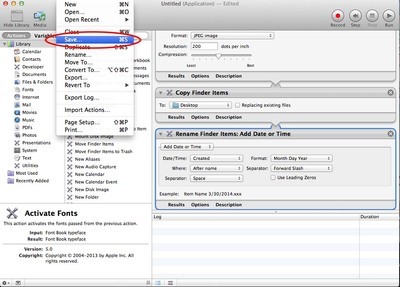 Next, find Rename Finder Items in the left-hand row and drag it into the right pane underneath the Render PDF bubble. Click Add on the pop-up window. Two new workflow bubbles should appear, a small one called Copy Finder Items and another called Rename Finder Items: Add Date or Time. In the bottom bubble, click the top option of Add Date or Time and change it to Make Sequential. 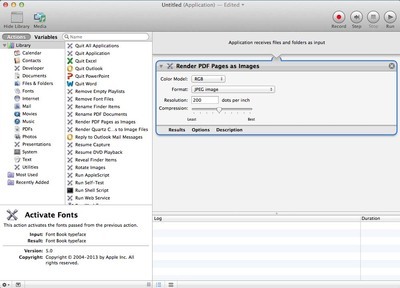 This will allow your PDFs to retain their file names but each page will be numbered at the end of the file name. Now your application is complete, but we need to save it. 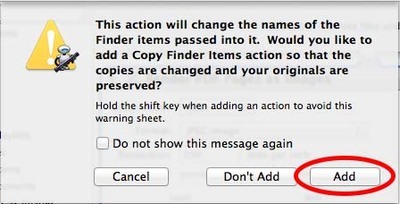 Click on File and go to Save.. to open up the save dialog box. Click on the Expand button to see some more options. Name your new application PDF to JPG Converter, click on your Desktop form the left-hand options and then click Save. 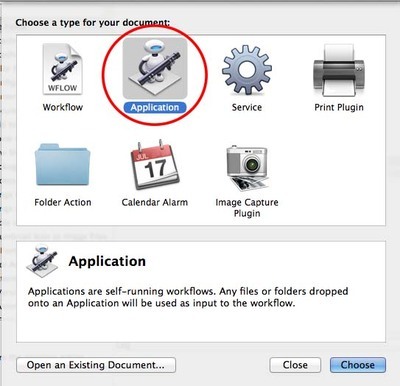 An automator icon like the one shown below will appear on your desktop. Now anytime you want to convert a PDF into JPGs, you just need to drag the PDF onto the PDF to JPG converter application you have just created. The new JPG files will appear on your desktop within a few seconds.